We’ve come to discover that there are a lot of people out there who truly enjoy drinking coffee and would love to expand their personal knowledge, but aren’t quite sure where to start. Whether they are interested in learning about roasting, sourcing, extraction and home brewing, or are simply interested in enhancing their palate, they are (what we like to call) “coffee curious”. For something as ubiquitous as coffee, it’s really a shame that there aren’t more educational opportunities available to the average consumer (unlike, for example, the wine industry). While blogs like ours and others can be great resources, we realize that some people prefer to learn in a more hands-on way, with the ability to ask questions and receive answers right away. To facilitate these conversations, we have decided to offer the first, in what we hope will be many, workshops called Coffee 101. They will be an opportunity for coffee lovers – from novice to expert – to come together, share knowledge and conversation, and to drink some great coffees. 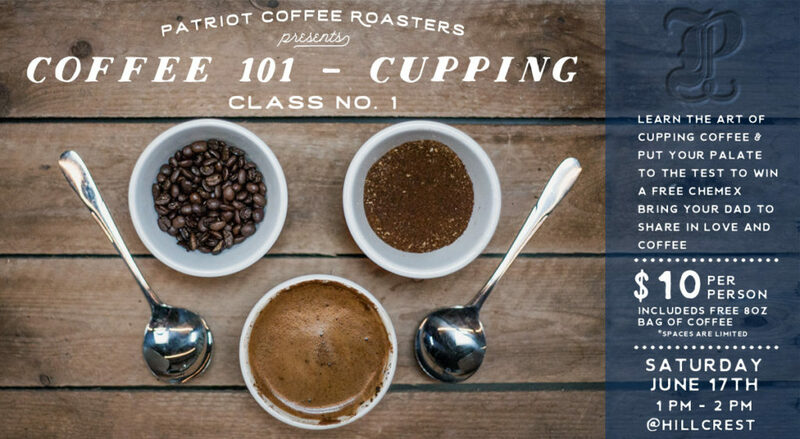 Our first class will focus on the art of cupping coffee. 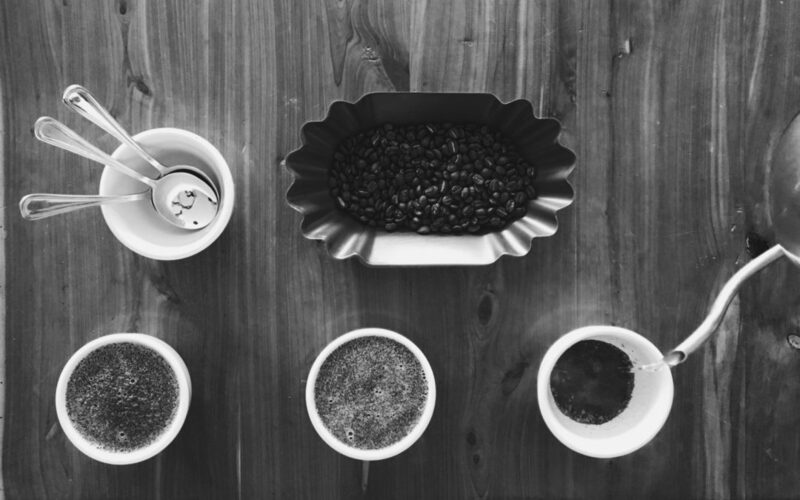 At it’s simplest, cupping is a way to taste, evaluate, and compare the flavor, quality, and potential of a given coffee. As roasters, it’s a very important part of our day-to-day operations, but as a customer, it’s a fun way to refine your palate and learn to verbalize what you are experiencing in every cup. Hillcrest has graciously offered to host our first Coffee 101 class on Father’s Day Weekend (Saturday, June 17) from 1pm-2pm. This workshop would make a great Father’s Day gift! Tickets will be $10 each which includes the class and an 8oz bag of freshly roasted coffee. You’ll also have the opportunity to win a free Chemex by putting your palate to the test with a blind tasting. We’re so excited to be offering this event and we hope to see you (and your dad) there! For location and information about Hillcrest, visit their website or check out the spotlight we did on them. You and/or your dad can’t make it out for this event, but you still want to give him the gift of coffee? No worries! We’re offering $2 off any of our coffees for Father’s Day – just use code RADDAD at checkout. View our lineup here.